As mayor, Revivi's primary interest is Efrat, Gush Etzion, but as Yesha Council Foreign Envoy, he has much to say about the whole region. 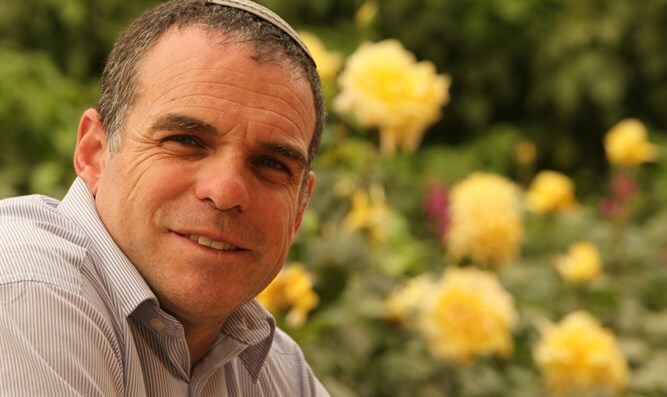 Efrat Mayor Oded Revivi was born in Ramat Gan in January 1969. When he was 18 months old, his parents were transferred to Englewood, New Jersey where his father served as a Jewish Agency emissary. Three years later, they returned to Israel and three years after that,the family went abroad to England where he attained a foolproof British accent. A few years after returning to Israel, he was sent by the Foreign Ministry to the US as part of a delegation of high school students who spoke in public schools throughout the country. 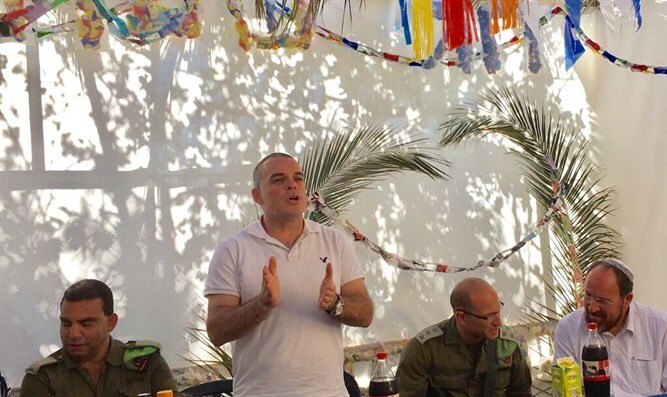 He served as a battalion commander in the IDF and holds a law degree, loves sports and relaxes by running, swimming - and cooking. Arutz Sheva interviewed the dynamic mayor, who has managed to accomplish major improvements in Efrat and uses his command of the King's English to make the case for Judea and Samaria residents in to foreign powers and visitors. What made you decide to run for mayor? Revivi: Efrat. The city itself. I wanted to fulfill the potential that was not being realized in the city. Efrat was in a deep freeze due to international and political considerations when it came to new building and many of the children of our residents had moved to other places because they couldn't find housing here. Efrat was originally planned as a city with 30,000 residents and was not making any progress towards attaining that goal. But the most prevalent thing in Efrat today is construction. How did you do it? Revivi:After exerting much effort during my first years in office, including inviting every appropriate minister and Knesset member to visit Efrat in order to show them on the ground the absurdity of the building freeze, including endeavors in my meetings with the Prime Minister to break the building freeze in Efrat, I received a call at 2:00 in the morning from Tzvika Hauser, then Secretary of the Government, who informed me that Prime Minister Netanyahu had approved the building of 316 housing units in the Zayit neighborhood. The ice had finally cracked and afterwards came additional permits for building in neighborhoods that up until then had housed a small number of residents in caravans. Today, when one travels through the new neighborhoods of Zayit, Dagan, Tamar one cannot but be amazed at the transformation of these hilltops into dynamic neighborhoods with beautiful new permanent housing for hundreds of new residents, as well as shuls,schools, parks, and other facilities..
How would you describe your constituency? Revivi: Most are national religious but there are those that are traditional and those that are more haredi. Our educational system provides a framework for all our residents and in fact this year we opened an integrated school for those parents who believe that the religious and less religious should study together in a pluralistic setting. 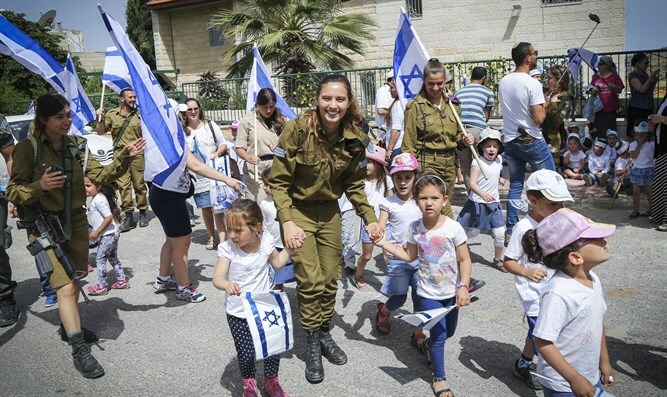 Our residents are highly educated, motivated, involved citizens who are integrated in all walks of Israeli life, who have a strong sense of justice and a desire to work for the good of the country. From the outset Efrat was planned to be a city for religious and less religious alike, but it is basically a Shomer Shabbat city. Efrat is an unusual city, wonderful for Anglos, because you hear as much English as Hebrew in the streets and stores. I was told that some schools in Efrat have a rule that the children have to speak Hebrew during recess. How do you feel about that? Revivi: For children who are new olim (immigrants), the fastest way to learn Hebrew is to be in a Hebrew-speaking environment. It is a good rule and one that will lead to a faster integration and benefit the new olim. Concurrently with this rule, in this same school, we opened up a school with courses in English for olim senior citizens who have difficulty with the Hebrew language so that they can participate in an enriched program in their native tongue. In return some of these senior citizens volunteer to tutor students in English. Why should Anglo olim come to Efrat? What does it have to offer (besides the fact that the language hurdle is easier)? 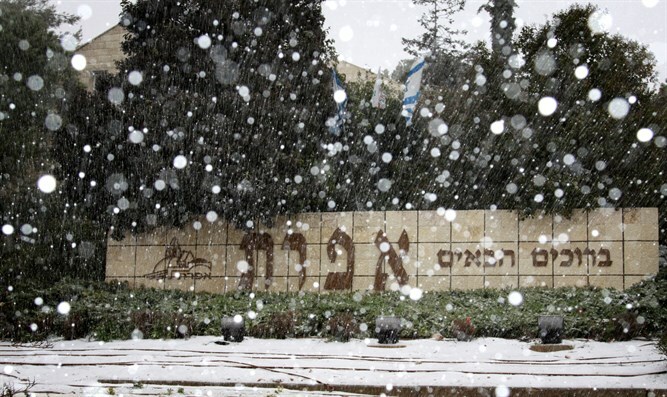 Revivi: Efrat is a community that offers olim, besides the familiarity of the English language, an entire unit in the municipality which has wonderful programs, trips and services for the olim that helps them adjust to the challenges of living in a new country. Children of olim participate in special programs during school hours that ease their way into full involvement with their regular classroom. Olim know they have a very strong support system in Efrat and that they do not have to face the various hurdles alone. We made an effort to attract French olim but it didn't materialize on a large scale. Revivi: We have been blessed by a building spurt of 1100 new housing units that will increase our population by 60% over the next two years, from over 10,000 residents to 16,000 residents and our challenge is to answer the building needs of the contractors while preserving the daily routine of our citizens so that they are not bothered by the noise and accompanying disturbances that are part and parcel of the building process. There is always the issue of trying to please everyone but that's an impossibility to accomplish all the time since different residents have different needs so we have to walk a tightrope in trying to move forward with what we believe is for the common good and growth of the city. Also, residents need to understand that we are scrutinized under a microscope by the Ministry of the Interior, the Treasury Department and other governmental bodies that put out strict guidelines on what we can or cannot do. We are in constant dialogue with the Ministry of Transportation in trying to provide ideas and solutions to cope with the traffic issues. I'm happy to say that a combined effort of the mayors in this region resulted in the Ministry of Transportation approving the tunnels road to be doubled with two lanes each way to serve the thousands of new residents moving into our area. There are also plans to build a light railway to the Gush. We are working on having all the other outstanding issues dealt with for the benefit of our residents. What is new in Efrat? Revivi: We have many dreams that are currently being realized such as the building of a health and sports center which will include several swimming pools and other important facilities. Another dream that we are energetically working on is the building of a magnificent park of 595 dunams which will contain the unique landscape features of the area including: springs, natural pools, walking paths along the aqueducts built by King Herod, agricultural terraces, a Roman dam, Byzantine monastery, bicycle paths, a boardwalk and more. The "Aqueduct Park" will preserve the green areas in our city and will provide a wonderful recreation area with all facilities for our families and for guests. The city is more or less shaped like a long snake, comparatively narrow and long. Can Efrat expand? How? Revivi: The geographical and topographical layout of Efrat presents challenges in many different areas, foremost in providing security for our residents. We are constantly working on being in the forefront and being up to date with the most modern technology in the security field. In addition, while most communities have one community center, we at present have two with plans to open additional extensions to serve our residents of the new neighborhoods since the distances are large in Efrat. Efrat has thousands of dunams of land in our eighth hill called the Eitam, which is included in our city building plan. On this hill, King David thought at first to build the Holy Temple. We are advancing plans to build seven thousand five hundred housing units on this hilltop. What makes you proud of Efrat? What do you love about it? Revivi: I am first and foremost proud of the residents of Efrat. One of the special things in Efrat is the spirit of volunteerism and caring shown by our residents. 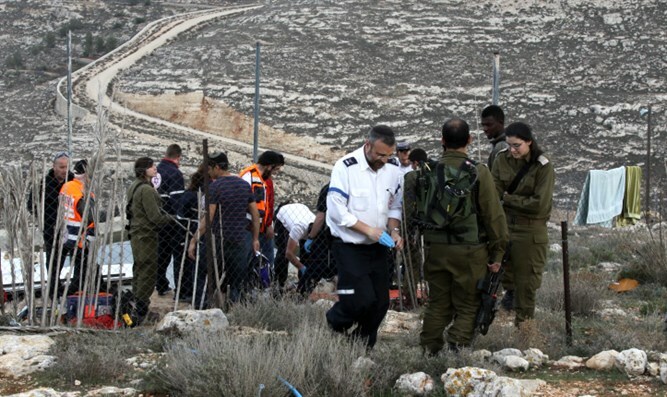 During the Bring Back our Boys campaign in 2014, which ended tragically with finding the bodies of the youngsters, hundreds got together to provide for every possible need of the soldiers using Efrat as a base from which to search for the three kidnapped boys. They saw to three meals a day, laundry, even took eyeglasses to be repaired. The ancient town of Efrata as portrayed in the Book of Ruth was known for its chesed. So too, today, is Efrat known for its superb and outstanding services and acts of loving kindness and caring. We have a building known as "Yad B'Yad " ("One Hand Holds Another") which houses all the different chesed activities such as the lending of complete bridal outfits from head to toe; housewares; food kitchen that provides meals for the needy; equipment for those in mourning; second hand clothing store and Yad Sarah for medical equipment and more. How does you being a native English speaker give you a unique advantage in spreading the truth about Yesha, presenting the case for Jewish life in Yesha, helping to project a positive image, to the outside world? Revivi: Being able to speak fluent English is one of the reasons I was offered the job of Chief International Envoy for the YESHA Council. But even before then, I hosted many groups that came to Efrat who wanted to discover for themselves what a "settlement is all about". Most of them let Efrat with a totally different perspective on the Jewish communities in Judea and Samaria than when they arrived. My goal is to show the groups the reality, the way we live, why we are here and why the situation is so complex. It's amazing how much ignorance prevails and how important it is to meet groups and present them with the facts and the true story which differs radically from they get from the media. Since many have their own "story" of the situation, I try to present them with the facts to undermine their position of "never let the facts get in the way of a good story". What would you tell heads of state? What would you tell world media? Revivi: I would tell them that it is a myth that the settlements are an obstacle to peace and that Jewish settlement in what is known as Gush Etzion began with Abraham some 4000 years ago and has continued since without interruption. I tell them that the term "illegal Israeli settlements" is outdated, incorrect and irrelevant. That no other nation in the world has more right to Judea and Samaria than the Jewish people. The term "occupied" has no relevance since the land wasn't taken from another nation that had legal rights to it. That Jews and Arabs work side by side in the Jewish communities of Judea and Samaria and each side returns home to his family with a sense of accomplishment knowing that they can provide for the needs of their household. We need to approach the conflict from a new perspective, and perhaps we can build peace from the bottom up. Do European and other official visitors come to Efrat? What happens when you meet with them? Revivi: I am constantly getting calls from European ambassadors and other high officials who want to visit Efrat. They are aware that there is a changing reality and they don't want to be left out in the cold. They come with an open mind and are amazed at how established and built-up Efrat is and how different from what they envisioned a settlement to be - a wind-blown hilltop in the middle of nowhere with a couple of caravans. They are reasonable, open-minded people who I hope will report back to their governments that we desire good relations and cooperation with our neighbors, but will not give up on our legal, moral and historical rights to our communities. They need to understand and pass along the understanding that we are not the obstacle to peace but rather an integral part of the solution and by boycotting us or ignoring us as though we didn't exist or that we are a thorn in their side, will lead them nowhere. Where are you on those issues? Revivi: Chok Hahasdara (regulating land issues0 and Sovereignty - After fifty years under a temporary situation, it is obvious that the Jordanians are not coming back, that the British are not returning, and neither is the Ottoman Empire. Israel has been in Judea and Samaria for the last 50 years and it only makes sense to apply Israeli law in the region in order to create legal clarity. How do you see the future regarding the Palestinian Arabs? In Gush Etzion, other parts of Yesha, within the Green Line? Classic, imposed solutions have proven to be not viable. We need to create a clear, strategic plan. They are here and we are here. The new American President thinks out of the box and we need to use that to our advantage. Should the government annex area C? Revivi: I don't believe in cutting the problem into small slices. Annexation of any land needs to be accompanied by a clear vision and understanding of the implications. We need to come up with a good solution as to the legal status of people living in an area of land that will be annexed. I would also add that 20% of the Israeli population within the pre 1967 lines are Arabs with equal rights and for a certain number of them, their nationality is more Palestinian than Israeli. Therefore, it's obvious, that we need to come up with a conclusive and coherent plan to solve all the issues at hand. Tell us your Ideas about peace – do you see the possibility? Revivi: Our striving for peace appears in our prayer books and are part of our prayers for countless generations. In the last hundred years, all the attempts to reach peace were always top-down. Unfortunately, we know that this approach has not brought us to the desired peace that we pray for. Peace is an agreement between people to people. There are no short-cuts. We need to get to know one another, understand one another and create an atmosphere where we can live one alongside the other. We are here to stay. They are not going anywhere. There is the possibility of peace if only those Arabs in power will make it a priority and allow personal bonds and relationships to flourish by allowing interaction on a daily basis that will create a format for normalization, after which peace will follow. Peace will come through dialogue, common interests and understanding. We need to try and reach an agreement that will last. Do you have a wish list? What would you like most to be able to accomplish in office? Revivi: My wish is to see a modern, vibrant Efrat that continues to grow and expand and fulfill its potential as the capital of Gush Etzion, but without losing the personal connection between the moetza (municipality) and its residents as well as the concern and responsibility the residents demonstrate towards one another. I want Efrat to be a good place to live for all age groups, young, middle-aged and seniors and to this end we are constantly working to provide enriching, fulfilling frameworks and activities for each group. I want Efrat to continue to be a model for excellence in education, beautification of a city, youth programs and attention to the needs of all our residents.